Not many tropical storms and hurricanes form in the central Pacific Ocean. Even fewer affect the Hawaiian Islands—just eight since 1979, according to meteorologist Jeff Masters. None have made direct landfall on the islands since Hurricane Iniki in 1992. That could change today if Tropical Storm Flossie maintains its strength. 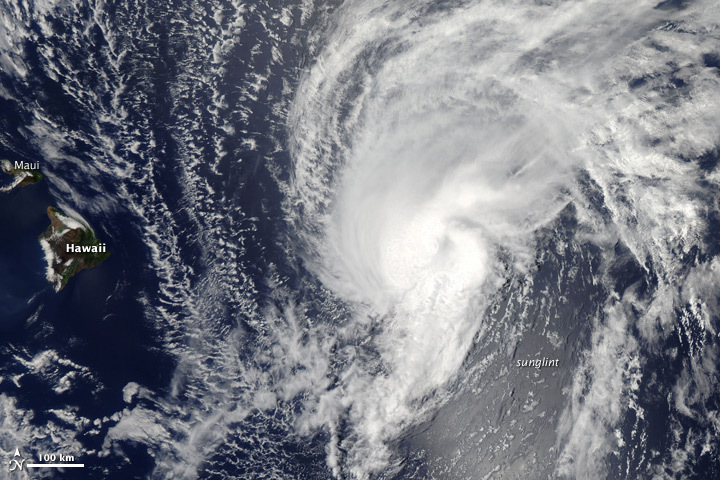 The Moderate Resolution Imaging Spectroradiometer (MODIS) on NASA’s Aqua satellite acquired this image of Flossie at 1:10 p.m. local time (23:10 Universal Time) on July 28, 2013. 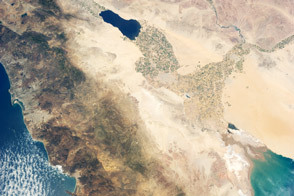 Roughly two hours before the MODIS image was taken, the storm was centered at 19.9° North, 148.5° West. At the time, Flossie had sustained winds of roughly 60 miles per hour (50 knots or 90 kilometers per hour) and a pressure of 996 millibars. The storm was moving westward across the Pacific Ocean at roughly 20 miles per hour, headed for the Hawaiian Islands. By 8 a.m. local time on July 29, Flossie’s sustained winds were at 40 miles per hour (35 knots, or 65 kilometers). The storm was expected to make landfall on Monday evening, either on the “Big Island” of Hawaii or on Maui. Winds were expecting to be roughly 40 miles per hour, with gusts to 50 mph. Forecasters were more concerned about rainfall, which could reach 6 to 10 inches (15 to 25 centimeters) in a six- to eight-hour period, leading to landslides and floods. Tropical storm warnings or watches were in effect for all eight of the major islands. 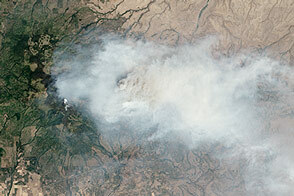 NASA image courtesy Jeff Schmaltz, LANCE/EOSDIS MODIS Rapid Response Team at NASA GSFC. Caption by Mike Carlowicz. 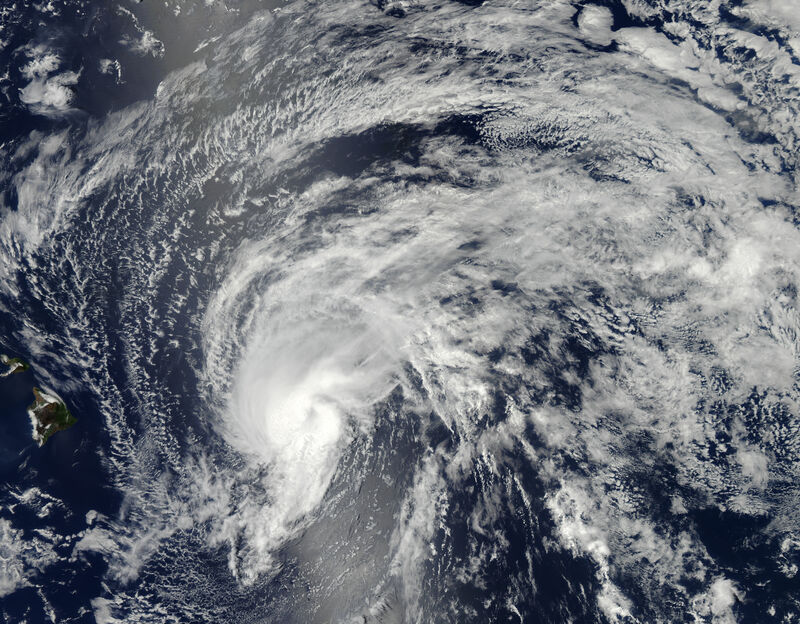 In late July 2013, a rare tropical storm approached the Hawaiian Islands. Hawaii News Now (2013, July 29) Flossie continues to weaken. Accessed July 29, 2013. Honolulu Star-Advertiser (2013, July 29) Isle Brace for Flossie's fury. Accessed July 29, 2013. Jeff Masters' WunderBlog at Weather Underground (2013, July 29) Weakening Flossie Closes In on Hawaii. Accessed July 29, 2013. National Weather Service (2013, July 29) Tropical Storm Flossie. Accessed July 29, 2013. Unisys Weather (2013, July 29) Tropical Storm Flossie Accessed July 29, 2013.